If you’ve been seriously thinking about getting a tattoo, you’ve probably thought about the design, colors, and placement. If you haven’t nailed every detail down, you might want to consider your forearm as a place to put your tattoo. If this is your first tattoo or if it’s your 20th tattoo, this tends to be a popular spot for men and women alike. The forearm tattoo has been around for centuries, can be shown off easily or covered, is a large enough space to have a significant amount of work on, and it can carry symbolism. Forearm tattoos have been around for centuries and, in decades past, carried great symbolism and were often used to identify people’s positions in society. For instance, in Borneo, women were tattooed to show what skills that had. A less happy side of tattooing were the tattoos that the prisoners of Nazi death camps were given to signify their role as prisoners. Thankfully, in modern society of America, we choose to tattoo ourselves. Even though we don’t currently use tattoos as a means of identifying prisoners, they still carry significance for the wearer. Forearm tattoos for mean and women can be some of many different types. On a smaller part of the body, you might be more limited, but the forearm is a large enough area that, with some planning, almost anything can be done. Forearm tattoos for men often feature portraits or names of loved ones. Forearms are also a good place to get geometric patterns. In general, though, people can get a tattoo of almost anything they want on their forearms. Comic book fans often get a tattoo of their favorite super heroes. Music lovers get the artwork from their favorite band’s cover album. World travelers sometimes get maps of the world with the places that they have traveled to, and so on. So while it’s very common for tattoos to have meaning, it’s not as used as a means of cataloging in a way that hampers people, it’s more of a celebration of the things and people that the wearer holds most dearly to their hearts’. A tattoo can be placed on the upper side of the forearm or the underneath. There are advantages and disadvantages to both options. 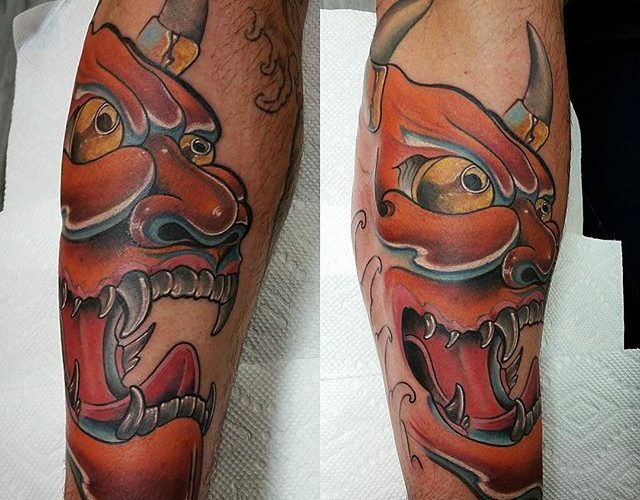 If you want your tattoo to be highly visible, the upper part of the forearm is probably the ideal spot. If you are wearing short sleeves, the tattoo will be easily visible to anyone you are talking to. If you want a little more leverage to make it less visible, the underside of the forearm might be the preferable location. If you already have a couple of tattoos, you might be considering getting a half sleeve tattoo. This is almost always done in several sessions and often even done over the course of a couple of years. The half sleeve tattoo is great for people who love tattoos and tattoo culture. A sleeve is actually a compilation of several tattoos that have been arranged and integrated by one or even a couple of different tattoo artists. Forearm tattoos for mean are very popular but, like almost everything, there are pros and cons to them. The main pro is that is highly visible, but that is also the main con. Depending on your work industry and the culture of your family, tattoos might or might not be accepted. If you are surrounded by people who support tattoo art, or you are able to cover it up every day at work, then a forearm is a great place to show off your individual tastes because it is so highly visible. Tattoos on forearms have a long tradition and have many symbolic meanings in today’s American culture, but it’s become particularly a form of artistic expression over the last several decades. Rather than being used as a means of throwing a person into a caste, more people over many different socioeconomic classes are choosing to get tattooed as a way of showing love to those that they care, or as a way of showing their creative spirits. Forearms are a great part of the body to showcase your interests and those you love. For ideas on your next forearm tattoos take a look at our photo gallery or book an appointment at one of our tattoo shops.